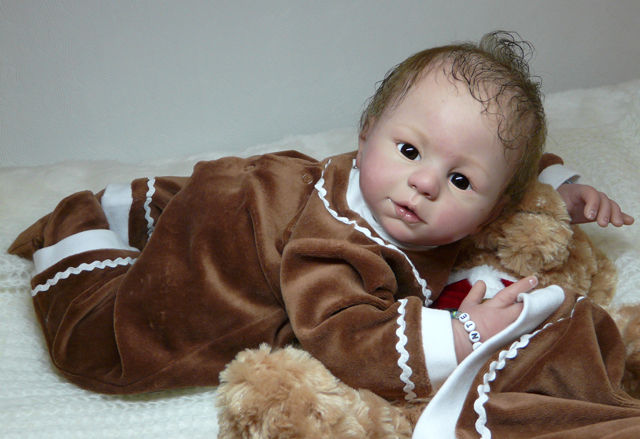 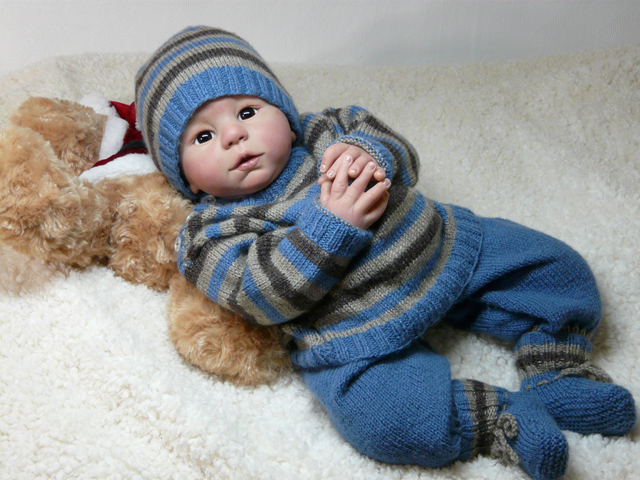 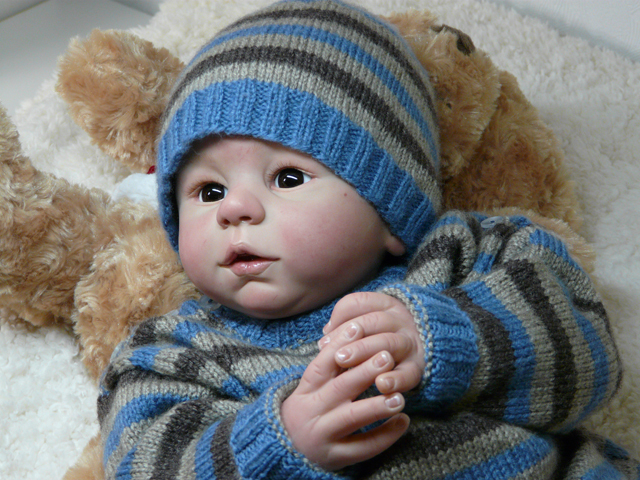 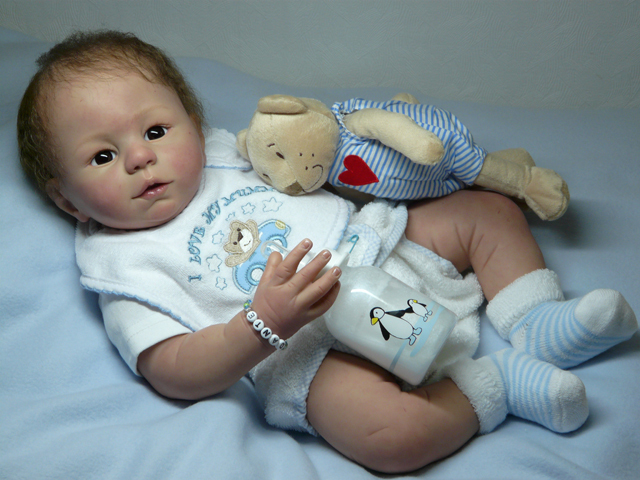 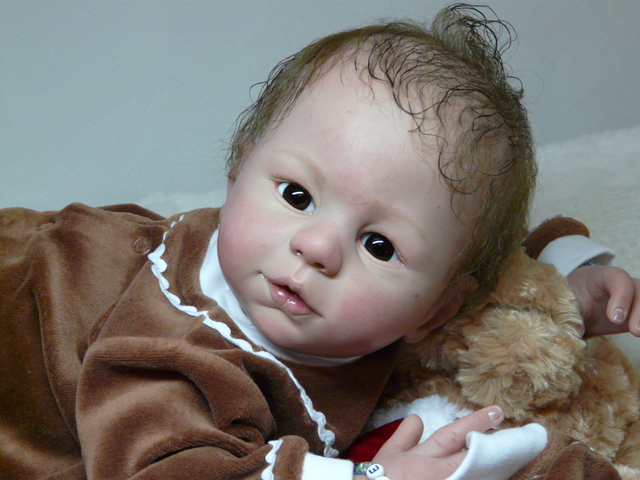 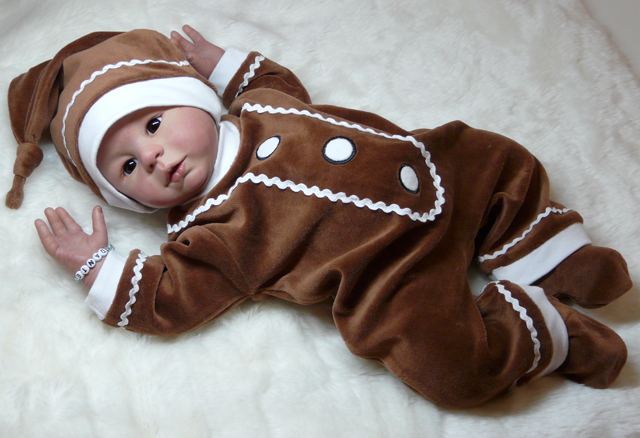 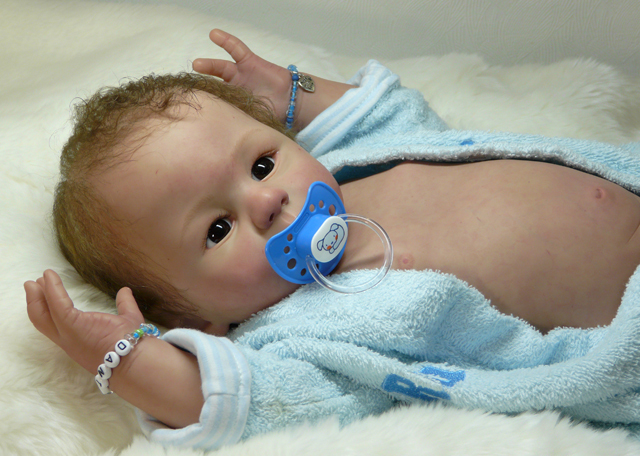 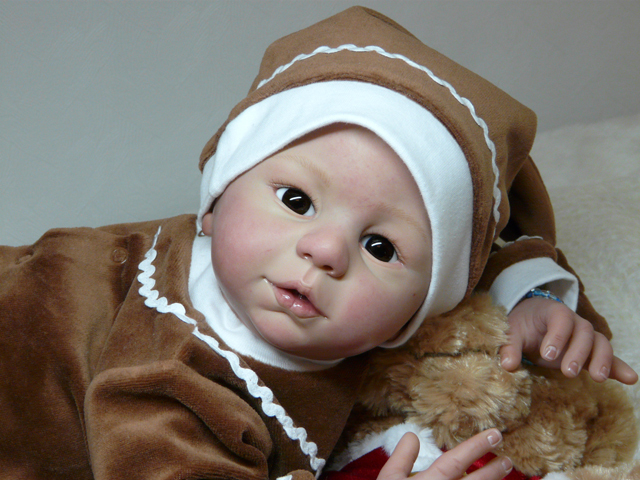 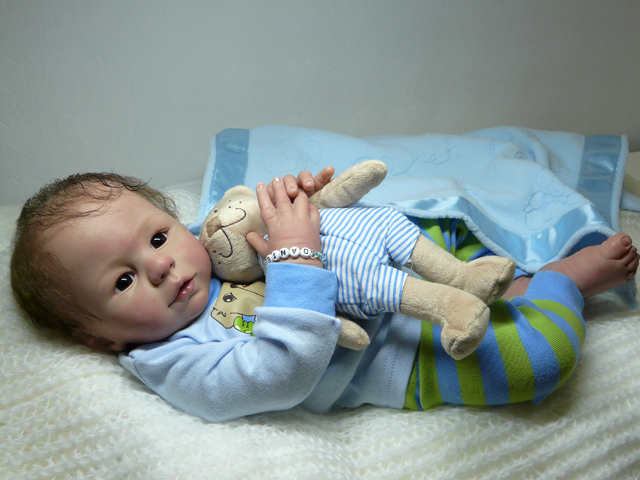 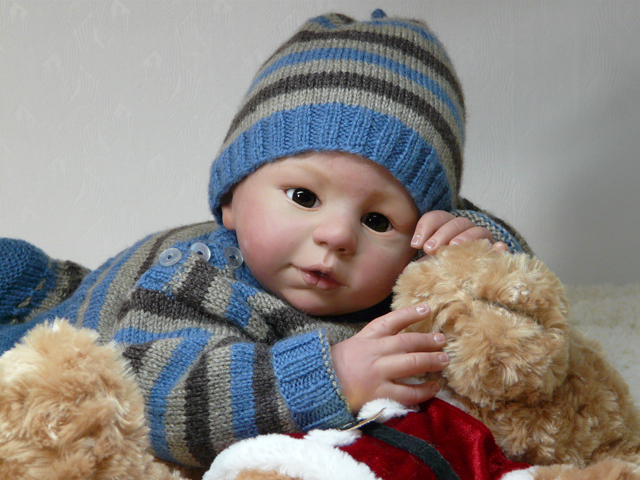 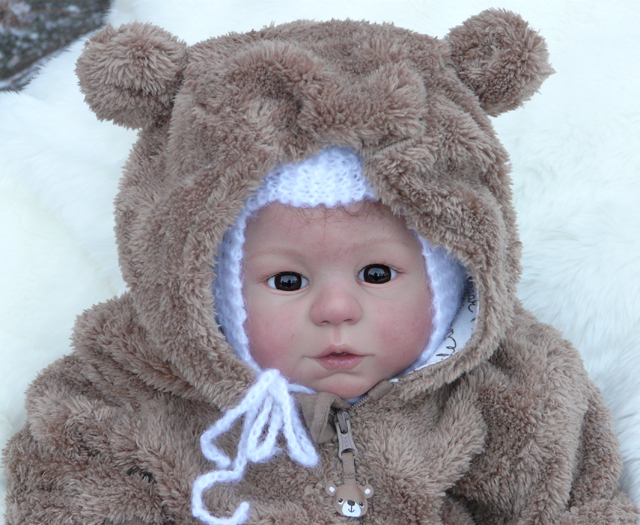 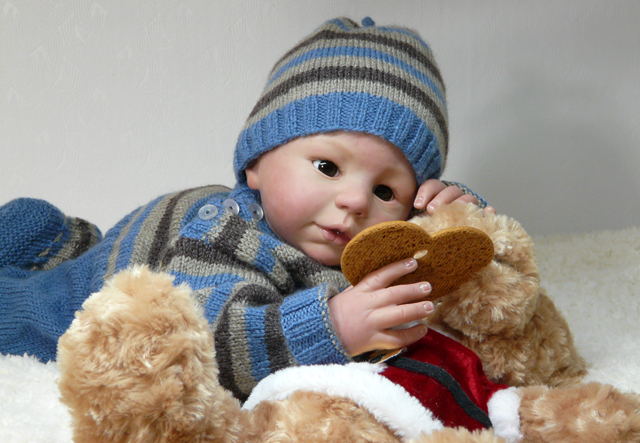 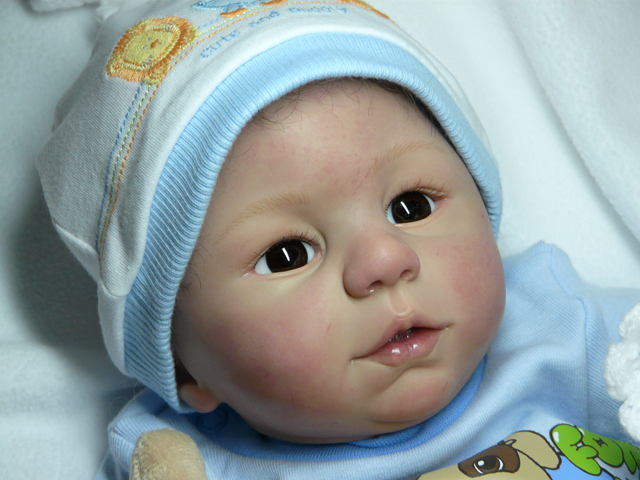 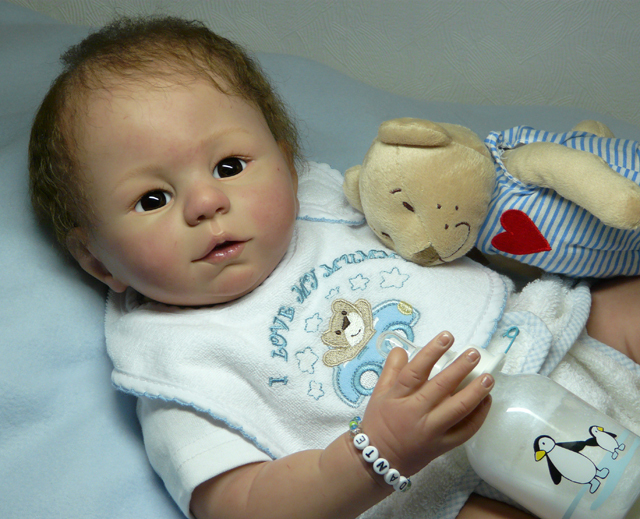 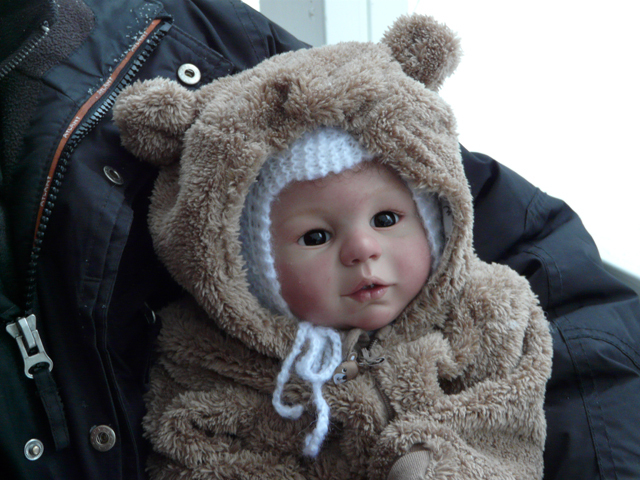 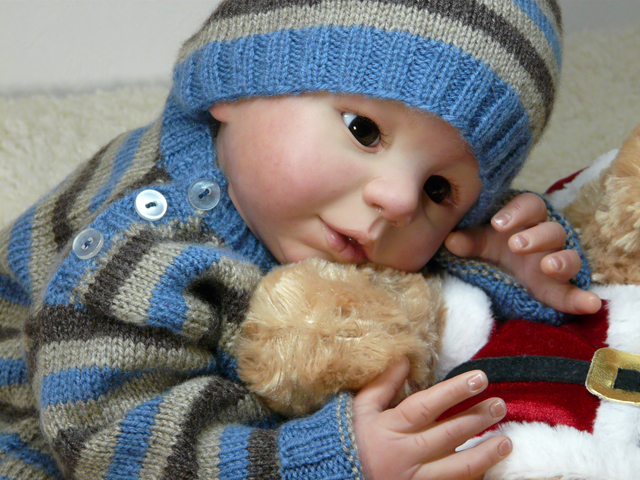 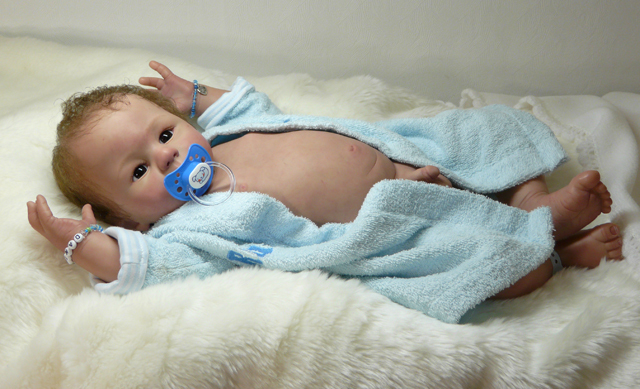 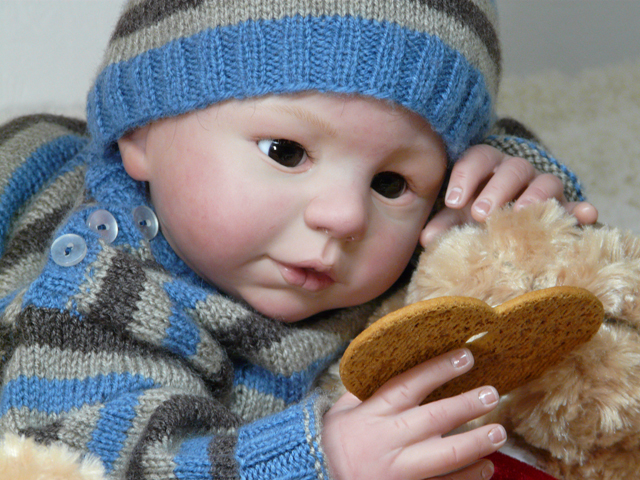 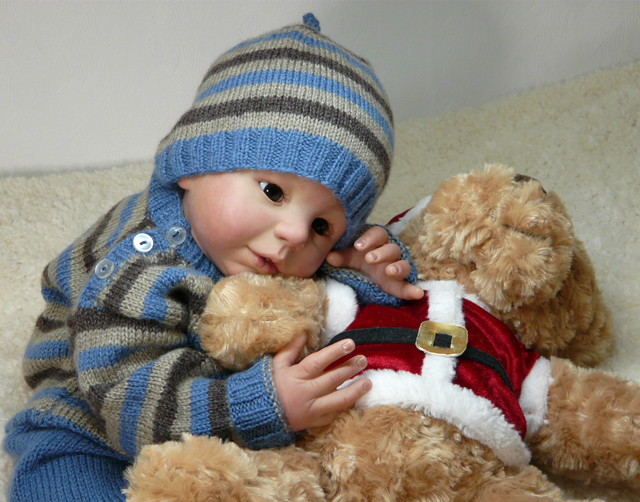 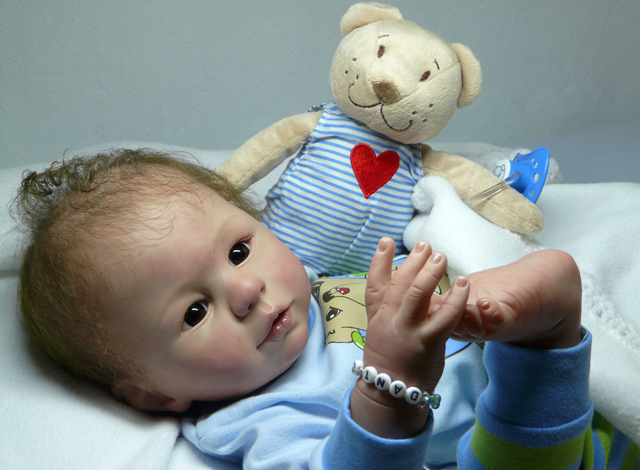 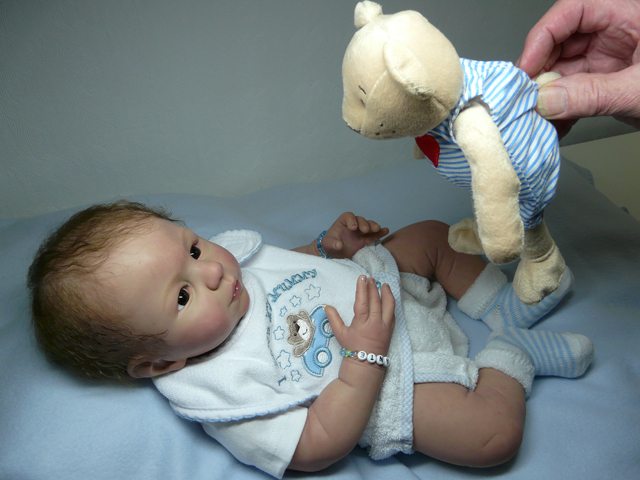 Baby Dante started out as a "Luke" doll sculpted by the artist Laura Tuzio Ross. 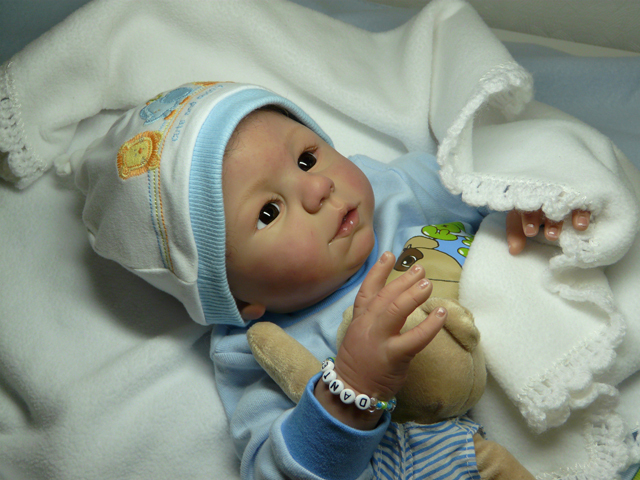 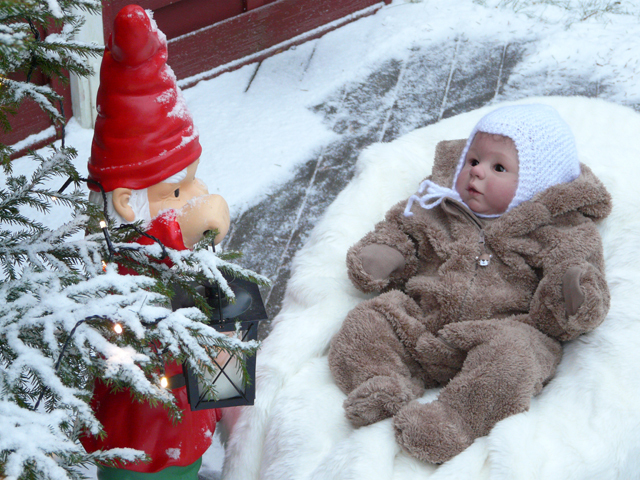 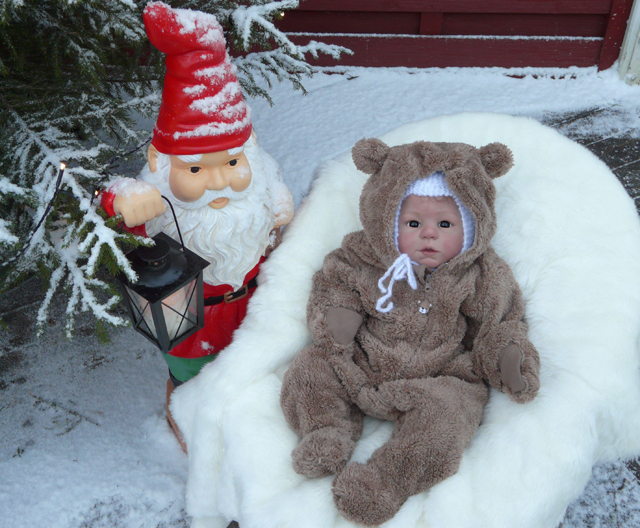  He´s got chubby 3/4 length Adrie Stoete arms and legs and mouthblown dark brown eyes from Lauscher. 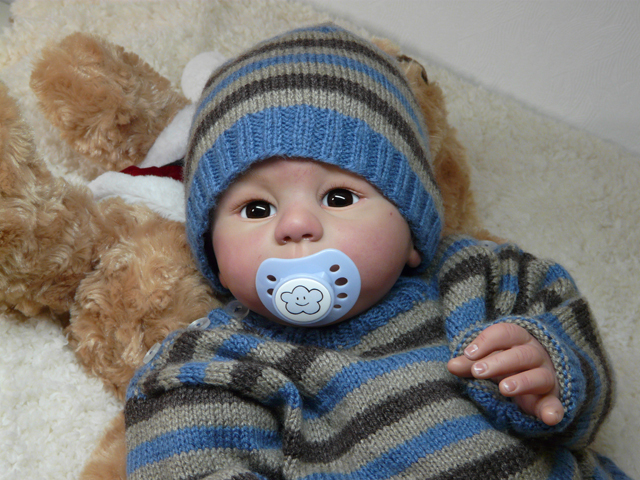 His hair has been carefully rooted by hand and is high quality brown mohair. 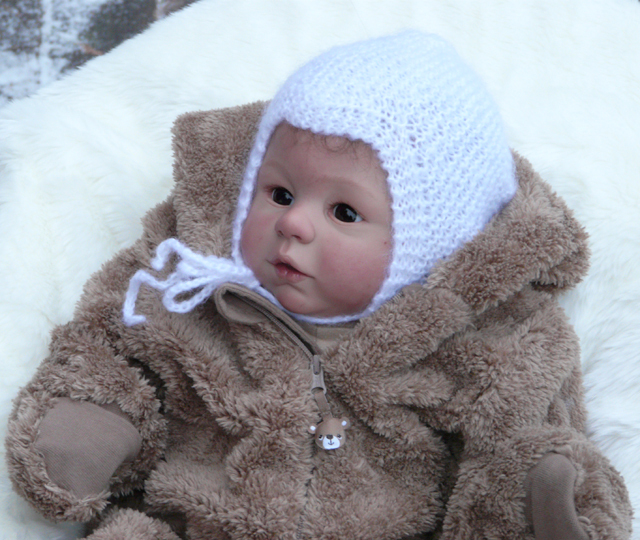 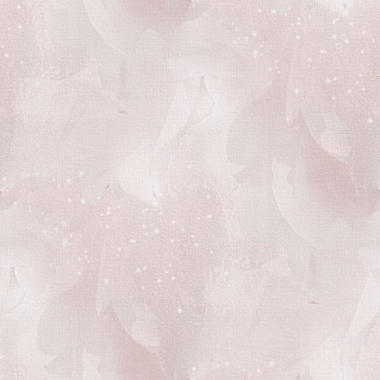 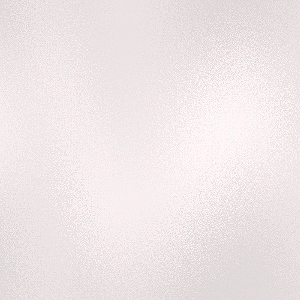 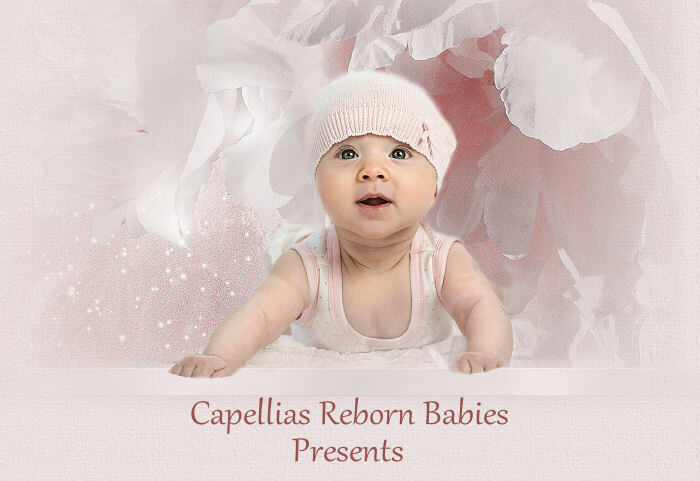 She has a soft skin touch body, the perfect weight and is now a collectible artist doll and not a toy.